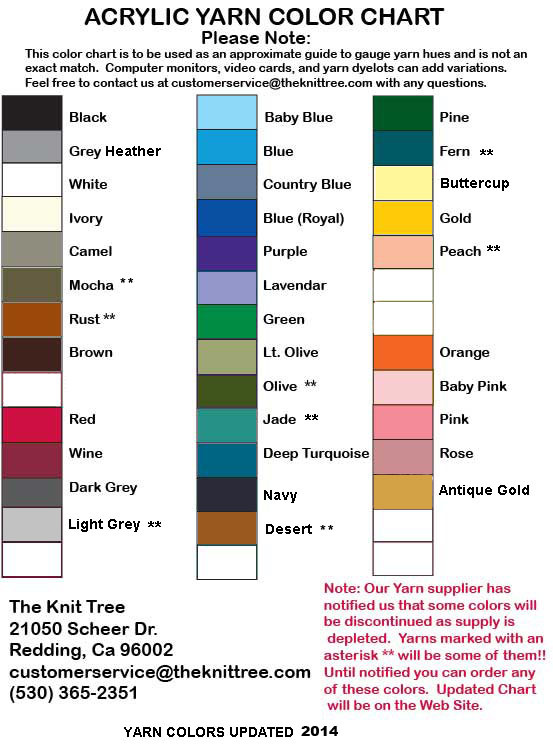 The Knit Tree is honored to get requests from the different Native American Tribes to put their special basketry designs on our knit products. 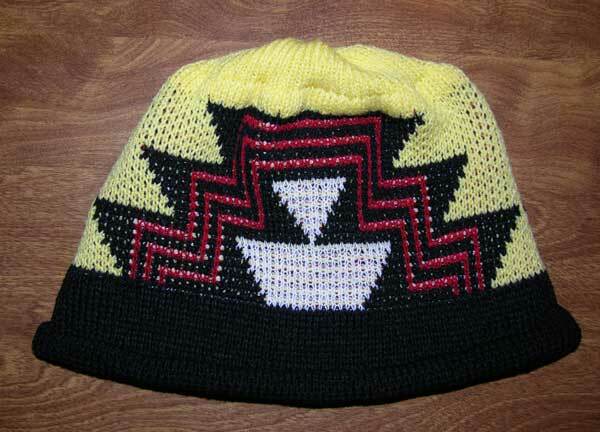 The request for a knit cap came from Natalie Ball, Modoc / Klamath Tribes. Natalie sent in a picture of her basket along with a drawing of how she saw the Crow's Knee design colored in both a 3 color and a 4 color version, slight design modifications were made to fit on the cap style and sent to her for approval. 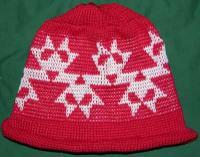 She selected the colors from our available acrylic color chart and requested the extra pom pon on the top. There is a limitation of no more than four colors within the same graphic row. 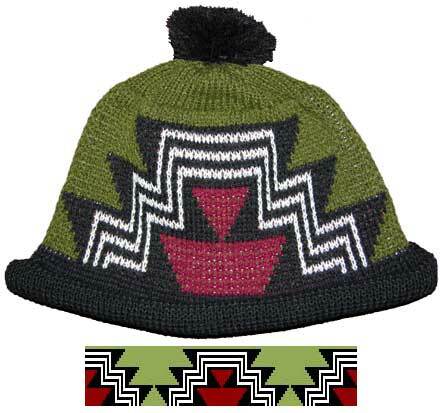 Three and Four color designs are also knit in a basket weave jacquard fabric. 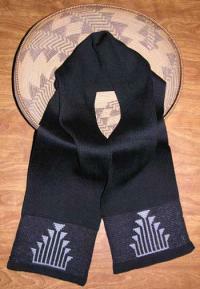 We are pleased to offer the Klamath / Modoc design interpreted here and thank Natalie Ball for her special request. Image pictured shown in Rust / Brown / Ivory / Mocha with a roll hem. It only comes in a 4 color version Click on images to see enlargements. Rust is Color One in the Sample. It is the design color. Bark Brown is Color Two in the Sample. 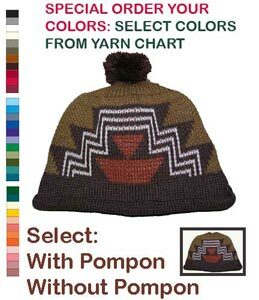 It is the hem roll color and the pompon color if you choose to have a pompon. Ivory is Color Three in the Sample. 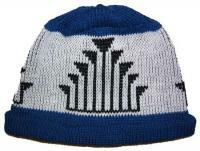 It is the color of the lines going through the design.